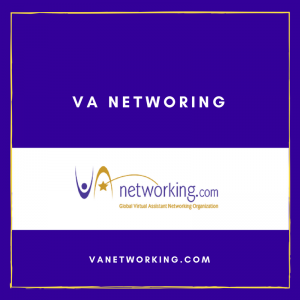 Working with Tawnya Sutherland of VA Networking was a very big privilege, considering the site we worked on was like an ancient landmark. The site itself was functional and stood on its own, however, it had fallen at risk of losing ground with Google due to its structure. During its many renovations, the site had been upgraded to a multisite to separate off the various audiences. This had created many more problems with maintainability and compatibility. This project was no small feat. Migrating a multisite over to a single site installation is something that many WordPress developers dread, so it was something we carefully planned for. We knew we had to tackle the url structure problem. That is, the link to each page. There were two options: Try and mimic that same url or redirect to existing url structure using regular expressions – complicated code-like instructions. We chose the latter, because in the beginning we had problems mimicking the url structure. We were having to stuff pages and posts into the same “post type” which was causing problems for the archives and blog. In the end, we not only got the site as a single site installation with importing of the pages and posts as appropriate, we also updated the theme to a modern, responsive one. The theme was chosen by Tawnya and was one that both her and her VA were familiar with. This enabled them to have a responsive site with its own page building components. Whipping up nice landing pages became a lot easier. Additionally, the removal of the multisite meant there was a lot more compatibility and the site was less complex to work with. Prior to this, the site had some strange behaviour from years of tweaks. Tawnya was extremely grateful for her new site. I vowed to keep an eye on it because it was just a huge “surgery” there was bound to be side effects that would need attending.